The TEFAL Express TT360131 is an appliance that takes care of a great breakfast or dinner every day. 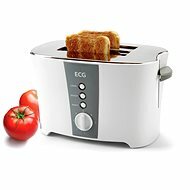 The double-breasted design allows you to prepare two great and crunchy toasts at the same time. A total of seven levels of bread can be set and there is also the possibility of immediate discontinuation of preparation. 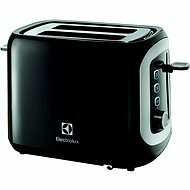 The toaster works at a power of 850 watts and can also be used to defrost and bake pastry. 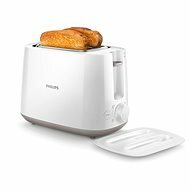 The Hi-Lift system for easy toast removal is greatly facilitated by the operator, and a special crumb vessel guarantees easy maintenance and cleaning. Another advantage is the presence of a practical bread roll in the package or also a space for storing the supply cord. For shipping to other EU countries visit this page Tefal Express TT360131. Für Versand nach Deutschland, besuchen Sie bitte Tefal TT360131. Chcete doručit zboží do Česka? Prohlédněte si Tefal Express TT360131. Chcete doručiť tovar na Slovensko? Prezrite si Tefal Express TT360131. Für Versand nach Österreich, besuchen Sie bitte Tefal TT360131. Magyarországra történő kiszállításért tekintse meg ezt a termékoldalt: Tefal Express TT360131.